We know it’s cold outside and there are fewer things nicer than watching New York City streets through your frosted window while you cuddle under a fuzzy blanket and drink hot cider, but New York City in the wintertime is worth venturing out into the cold for. Chill is in the air, but holiday music can be heard on every street corner and the city is aglow with lights and winter decorations that you won’t soon forget. So, tip your doorman and leave the building. Venture to 1251 Sixth Avenue, near Rockefeller Plaza and look out for the glowing giant red orbs reminiscent of pomegranates, or the gigantic Christmas tree ornament sculpture popping out of a city fountain on 6th avenue. There are endless events and festivities as the new year approaches, and unless you have a friend who can get you into The Metropolitan Club, it can be difficult to choose where you’ll spend your time. 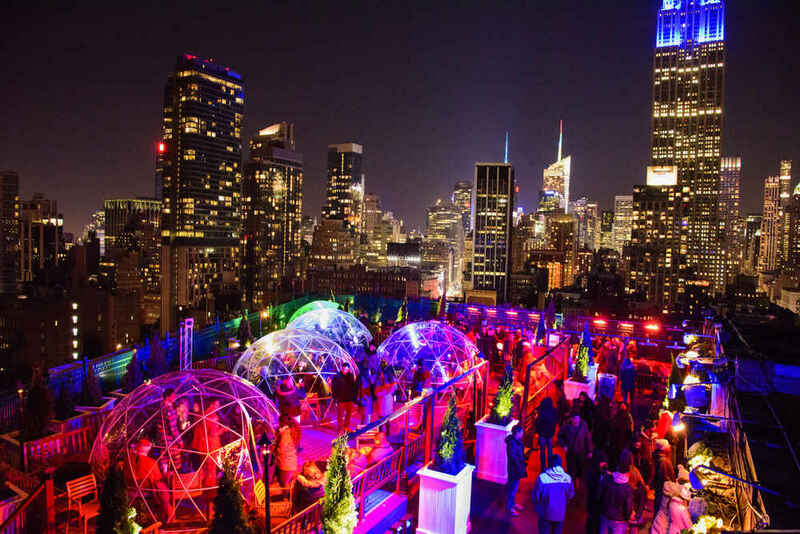 That’s why we’ve done all the work for you and put together a list of some of the most exclusive activities and events in and around Manhattan and New York City to keep you in the know this winter. 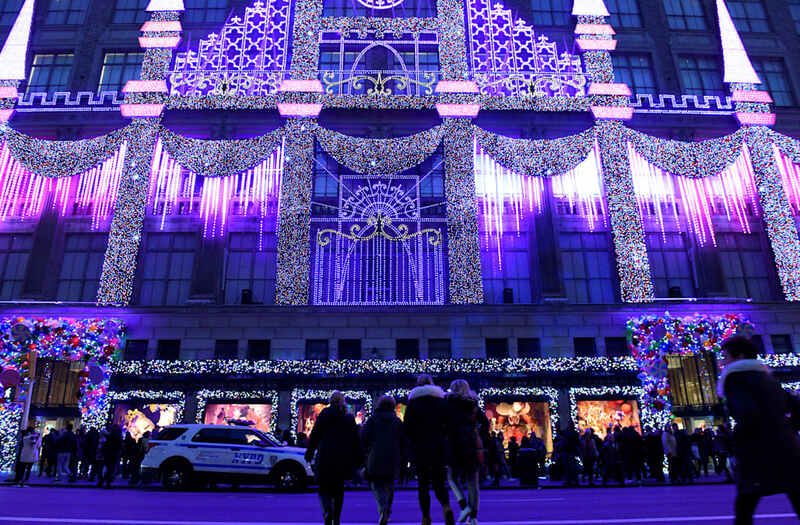 One of the best things to do in New York City during the holiday season is wander through Midtown to check out extravagant window displays at stores like Macy’s, Bloomingdale’s, Saks Fifth Avenue, and more. Every winter, the shops on Saks 5th Avenue compete for the best window display by bringing to life fairy tale panoramas, winter wonderlands, and otherworldly scenes of grandeur and winter cheer. Curbed, a New York Neighborhood guide, curated this user-friendly map of the best holiday window displays in the area, so they’re easier to find than ever. Ah, a night of beautiful dancing, magnificent costume design, and high-end musical composition is in store for you at the NYC Ballet’s rendition of the Nutcracker. Running until December 31, this globally acclaimed ballet will delight and surprise regardless how many times you’ve seen the ballet before. All 90 dancers, 62 musicians, 40 stagehands and more than 125 children, in two alternating casts, from the School of American Ballet join forces to make each performance as magical as possible. Tickets range from $89-290, depending on the seats you choose. We recommend sitting as close to the orchestral pit as possible, to get a glimpse of both the dancers and musicians alike. The Old Homestead is the perfect place to flock to on a wintery night with friends and loved ones. Located in the heart of the former meatpacking district, this old-world steakhouse was made famous as the first restaurant in the United States to import Japan’s fabled kobe beef for use as the feature in its sumptuous steak dishes. The interior is plush and comforting, perfect after a chilly evening trek through the city. Menu features include the Oyster Rockefeller Royale topped with a simmering pernod cream, the filet mignon for two with golden Yukon potatoes, aged cheddar spinach, sour cream and Asian vegetables, and the deliciously famous Homestead chopped salad. The Windham Mountain Resort, a true gem hidden away in the great northern Catskills, is only three hours from New York City and offers everything from skiing and boarding to spa relaxation and delicious dining opportunities. It’s the perfect place to escape for the weekend when you need a break from the droves of winter tourists flocking to New York to see the famous city decorations and the NYE festivities. Packages are varied, so whether you need to play hooky in the middle of the week or want to embark on a weekend getaway, Windham has an option for you to enjoy. Each January, Winter Jazzfest hosts the genre’s top talent over the span of several evenings. Its signature two-night Greenwich Village marathon brings vets and up-and-comers, hordes of music fans and a palpable air of excitement to an array of cozy downtown venues. The shows aren't individually ticketed, so a wristband grants you access to any of each night's shows—as long as venues don’t fill to capacity. This is a model built for venue-hopping and exploration. If your preferred show is full, pull out the schedule, and head to one of the nearby spots for something unexpected. This event happens after the New Year celebrations, which can be a downtime for happenings around the city. So grab yourself a ticket before they sell out and get your winter groove on to combat the post-NYE blues that can set in. This is one experience you won’t want to miss. 230 Fifth declares itself “New York's largest outdoor Rooftop Garden and fully-enclosed Penthouse Lounge.” One floor is fully enclosed, while the rooftop garden is open to the sky. If it’s raining, the venue will provide umbrellas and keeps it cozy by heating the place on cooler evenings. This venue is a marvelous place to sip cocktails before making your way to one of many New Year’s Eve happenings around the city, if you need a pre-party.